The explosion of cloud services and mounting frustration surrounding the high cost and inflexibility of Multiprotocol Label Switching (MPLS) networks has forced a rethink of the enterprise Wide Area Network (WAN). 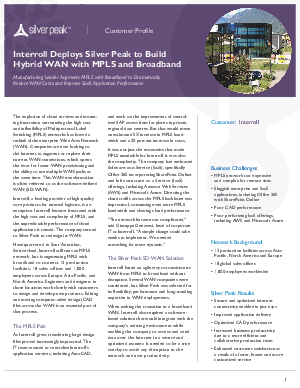 Companies are now looking to the Internet to augment or replace their current WAN connections, which opens the door for faster WAN provisioning and the ability to use multiple WAN paths at the same time. This WAN transformation is often referred to as the software-defined WAN (SD-WAN).